This Christmas Startimes will be having a major promotion to recognise loyal subscribers. It’s the season of giving, so the pay tv service provider has begun packing lots of prizes to be won in the coming month. 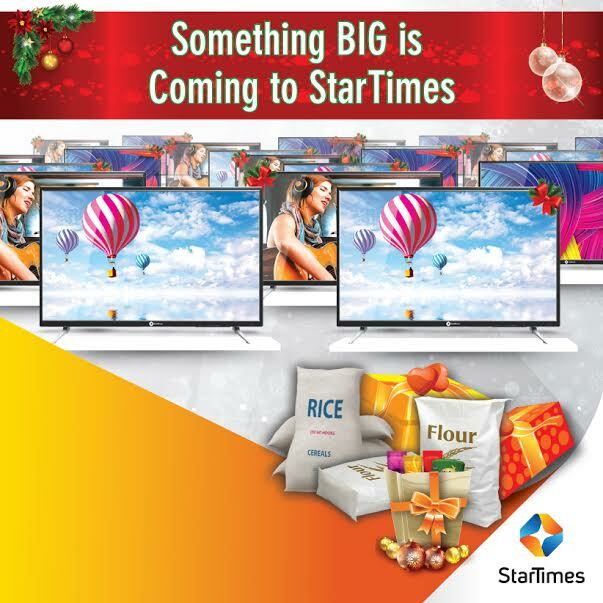 What does it take to win BIG this Christmas with StarTimes? In the spirit of Christmas and in the run up to the end of the year, StarTimes has decided to give all its customers the chance to win a selection of fantastic prizes. Stay tuned to Smartinvestor and StarTimes page for more details starting this Thursday, 1st December 2016.